These “local control” groups are advocating for ballot measures that would limit or ban energy development in Colorado. There isn’t just one radical environmental group trying to stop energy development in Colorado—there are dozens. And they’re typically not grassroots activists concerned about their communities. Powerful national and international big green radical groups that are funded by wealthy foundations and celebrity activists have joined forces with millionaire U.S. 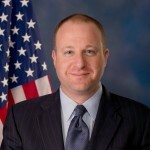 Congressman Jared Polis (D-Colo.) to form a number of coalitions in favor of kicking energy development out of Colorado. Coloradans for Local Control (not to be confused with the similar-sounding Local Control Colorado) is the activist group most closely aligned with U.S. Rep. Jared Polis. 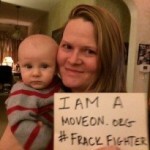 The group is supporting nine potential ballot initiatives dealing with hydraulic fracturing or localities’ ability to regulate fracking within their boundaries—and each ballot measure lists Caitlyn Leahy as the primary proponent. Leahy is reportedly Polis’ fundraising and events coordinator. The amount of communication and coordination between Leahy and Congressman Polis is currently being scrutinized. To actually advocate for these anti-fracking ballot initiatives, Coloradans for Local Control is funding an issue committee, Coloradans for Safe and Clean Energy. The only contribution to the committee has been from Coloradans for Local Control—a single $1.45 million contribution. To further complicate this web of coalitions, Rick Ridder—the President and Co-Founder of RBI Strategies and Research—is the spokesperson for Local Control Colorado (LCC), another group involved in the fight to ban fracking in Colorado. How much he and his firm are personally profiting (if at all) from his work on these anti-fracking campaigns has yet to be determined.